Early Saturday morning, March 19, 2011, was the first day beginning my Spring Break. My dad and I had just got on Woods Reservoir Lake in Winchester, Tennessee in my little flat bottom boat. We hadn't even been on the lake for an hour, and I caught these two beautiful largemouth bass. One weighed 4 pounds and 8 ounces. The other weighed 5 pounds and 13 ounces. 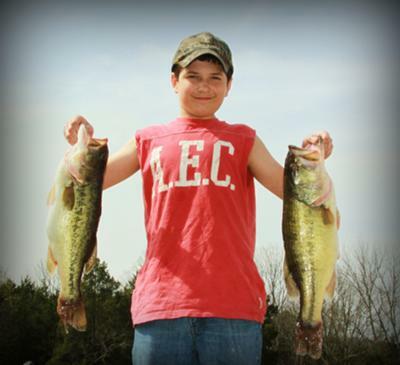 I'm 11 years old, and I have been fishing since I was 3. Each year my catches keep getting bigger and better!